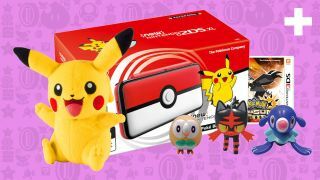 Deals for Nintendo’s handheld are becoming harder to find, so we’ve done you a solid by gathering the best Nintendo 2DS XL bundles here. If you haven’t invested in one yet, we’d recommend doing so; Pokémon, Super Mario, Mario Kart and more make this console a blast when you’re on the go. This list is regularly updated too, so make sure you pop back every now and then for more bargains. Who could say no to a deal like that? But what makes the New 2DS XL worth your time in the first place? And how is it different to other 2DS or 3DS models? While it lacks 3D capabilities, this version can still play every 3DS game without issue (not that you’ll miss 3D anyway). Additionally, the ‘new’ in its title refers to a bonus thumbstick that’ll provide greater control in some games. Finally, it steps away from the tablet-like appearance of the older 2DS by bringing back a clamshell design. Oh, and the screens are bigger. All this - not to mention years’ worth of awesome games - make the best Nintendo 2DS XL bundles a good investment. Want to know what you should play on your new console? Take a look at the best 3DS games to find out. Would you prefer a 2DS XL console by itself? No problem. Here are the best solo deals we could find. Remember, these prices update all the time - you're seeing the cheapest bargains available now from the biggest retailers.